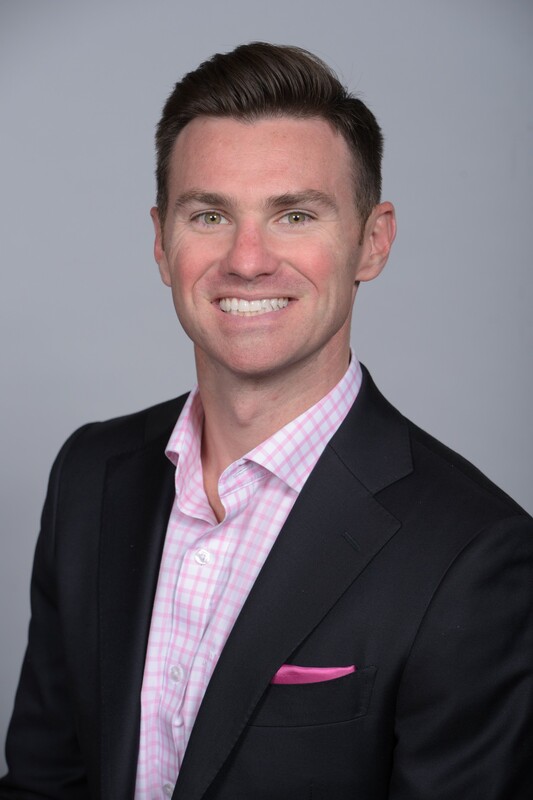 I had the pleasure of interviewing Edward J. Buckley, III, PhD, CEO of Peerfit, the market leader in connecting employers and carriers with innovative fitness experiences. Ed leads Peerfit’s expansion strategy by driving national partnerships, business development, and fundraising. With nearly 10 years in the fitness industry, and a background in digital health behavior research, Ed continues to push the envelope on innovation in the fitness-technology space. Thanks for having me. My backstory is pretty simple. I was born in North Carolina to a Navy pilot, so we moved a lot growing up. Moving that much helped shape me to constant change, and learning how to adapt to having an entirely new friend group every two-to-three years. I have three sisters and one brother. I ended up going to University of Florida on a scholarship, during the height of all the national championships in basketball and football, so I was very lucky in that respect. I graduated early and started my first company in the wellness space. I learned a lot, and it ultimately paid for my going to graduate school where I studied Public Health Policy during the passing of the ACA, which was a pretty fantastic time to be studying health care policy (if that can even be a fun thing to do). I worked as a fitness instructor through grad school then ultimately got my PhD where my research focused on digital health and behavior. I then moved Peerfit from Gainesville, FL down to Tampa, FL and the rest, as they say, is history. I have a great and equally embarrassing story. We were planning to have a meeting with Zumba (a popular latin dance fitness class) and I didn’t want to show up at their headquarters without having tried one of their classes. So I showed up to a 150-person Zumba class that was 99% women. It was also the day after Halloween, so I showed up rocking a Fu Manchu mustache from a costume party the night before. I certainly embarrassed myself with my lack of latin dance skills, while being at the gym where I worked, and with a ridiculous Fu Manchu mustache. I was also unaware you sometimes turn around 180 degrees in those classes so even though I stood at the back, hoping to avoid as much embarrassment as possible, at one point I was all of the sudden in the front row because the instructor had the class face the back wall. Sometimes you just have to do things outside your comfort zone to really make an impression. Well, I think whether it’s a small or large team, you have to start by giving the whole team a common vision, direction, and proper motivation of why their work is important. You have to be the one leading from the front, really embracing and living the vision you are giving them, otherwise they will not believe it. After you have communicated the vision, demonstrated the vision with your own actions, your job as a leader is to help coach your team on what the mission and vision mean to them and their departments. They will have to build processes, expectations, and deadlines around what that means. Finally, it’s about constantly giving your team motivation on why success is valuable for them, and not just helping the company’s bottom line. Every company is complex, but the best thing you can do for a large team is make things simple. There is nothing more simple than your fundamental vision and mission. When you manage different departments across different regions there are inherently friction points, even just related to syncing up times. People do business not only on different time zones, but sometimes people work differently in different regions of the world. East coast teams may work an 8–5 schedule, whereas west coast teams may prefer to work from 10–7, and teams in France may not work in July. It’s not just aligning time zones, but the people who work differently in different regions, in different cultures across the world. These differences don’t always fall easily into an east coast timeline and schedule. There are people from different countries, religions and backgrounds that view a yearly calendar different than where your home office might happen to be. An example of this is when I was introduced to some royal family members from the UAE a few years ago when I was at a Yankees game. They were interested in Peerfit and possibly making an investment. Our team got together working on the due diligence and trying to coordinate meetings. I soon learned how different it could be to coordinate meetings with folks who have a different view on work and life. Subsequently our meetings ended up being pushed into the month of Ramadan which of course halted all work. That was the first time our team really had to learn how to be flexible with various countries and cultures and it was a great lesson to learn. To be an effective CEO/Executive/Founder it comes down to a really simple concept: Be authentically passionate. If people can’t feel the way you feel about the vision and direction of your company, then you will never be able to align them, motivate them, or be able to get people behind you to be a great leader. While there are endless lessons to be learned about the little things you can do as an effective manager, and the way you can lead a team, nothing means more than having a contagious passion for your company. Whether you are starting from the ground floor and need to convince your first employees/clients to work with you, or you’re the CEO of a large company, authenticity helps buy trust from all walks of life, and allows your passion to be received with an open mind and thus drive your employees to share that passion and truly thrive. Nothing is worse than having a bad boss at a company that you love. Knowing that fact, we try to constantly “coach our coaches.” We also don’t just try to find people who are the best at their skill set and choose them to be a manager; they have to understand that a manager’s role is to serve the people they work with, not the other way around. The first thing we talk to potential managers and executives about is their philosophy on team dynamics, constant communication on expectations vs. actuals, and the mission to serve their teams are musts for success. Having this ongoing conversation about this philosophy leads to managers who want to keep people by developing them personally and professionally. That is how you attract and retain that talent. 1. One of the most important things is clearly communicating expectations. Nothing causes more friction and frustration between people, work colleagues, bosses and employees than when people haven’t clearly communicated expectations. Someone who used to be my boss, who now also works at Peerfit, had a very good rule for this. When you say something isn’t going right, before the conversation continues he immediately has you explain the exact metric and outcome you were hoping for. That way there is no emotion or subjectivity and you all are only objectively looking at the metrics you wanted to achieve as you try to problem solve. 2. Be proactively transparent. People often wait for meetings to relay updates or wait until the last minute to share bad news. It behooves you to get out in front of good or bad news, and be transparent in your communication. Once you prove that you can be trustworthy they stop looking over your shoulder and know you are going to communicate the good or bad news. People will then instead help you and become problem solvers. They know good, bad, or indifferent, they will hear the news. For example with our board of directors, I make sure to never wait until the next meeting to share an update with them. I proactively give them informal updates, good, bad or indifferent so they can give me feedback along the way. This way there is never a big decision that has to be made. You are making small decisions along the way and getting their buy-in. 3. Be compassionately indifferent. There are going to be emotions with your team and people, but you have to do your best not to succumb to emotions. You can of course always take their emotions into consideration, but don’t let their emotions swing your decision. You have to remain objective. Take their thoughts and feelings into account and be a compassionate leader, not an emotional leader. 4. You must have tons of good healthy energy for the team. Taking care of yourself is so important. Make time to mediate, reflect, read, exercise, get away from the team and have a sounding board of mentors and experts you can rely on. This is the single most important thing any person can do to be an effective leader. I practice this philosophy all the time to learn, exercise, reflect, and get input. However, there was a time in the early days when I was working on Peerfit, finishing my PhD, and working a side job that I didn’t practice this philosophy. I gained 25 lbs and was the unhealthiest I had ever been. To get back on track I started to practice these self-care pieces again and I got back to being a better asset to those around me socially, intellectually, and emotionally. I had gotten to a place where I couldn’t take care of them because I wasn’t taking care of myself and it was vital that I begin taking care of myself again. 5. Let your team see you have fun. If you don’t set the example that you are going to work hard, enjoy what you are doing, and still have a great sense of humor, then your team won’t see you as a person, they will see you as a boss. They of course want to see your leadership, but they have to still see you have fun. Every year at our team all-hands we get everyone together to do 2 days of meetings, goal setting, and reflections. Last year we took everyone to an arcade to have a great time with each other and to also see that all their department heads are people too. It took everyone back to their childhoods, as an adolescent at the arcade. It helped form a nice cohesive bond whether you were the boss or the employee. Given what I am passionate about and what our company’s mission is, it should be no surprise that one of the most helpful things we could do is to bring people together and make them healthier by bringing people into group fitness classes. If there was a way to make group exercise more affordable, and available to all, I believe people would be friendly with their neighbors, be a better community member and all around be happier. Sweating together breaks down a lot of barriers. The fun and energy of getting out of your house, getting out of your work, and going to a class, there is something just holistically good about. Ultimately getting everyone access to group fitness classes would also help with cost savings on health care as more people are laughing and sweating together on a regular basis. I ultimately think the more people who exercise and take care of themselves through diet and nutrition help inspire others to eat more meaningful calories and make healthy choices leading to a healthier life overall. This quote is relevant to me because a lot of people remember Walt Disney different ways. Some people think about the parks, some the movies, but he also had a lot of flaws. He smoked, pushed people past their breaking point. But, ultimately he did the impossible by helping people have fun doing the impossible. He was helping to create new industries and technologies. That is something I try to do every day. Do meaningful work, that I have fun doing, and ultimately push and motivate people the same way Walt was able to do. Infect them with a bug of energy and passion and not just pushing them to achieve goals for a company.